The Philadelphia Botanical Club held its first meeting December 1, 1891, at the Academy of Natural Sciences with eight founders present. The objectives of the new club were "to further the interests of Botany and to make a checklist and herbarium of the plants found within the radius of fifty miles from Philadelphia." At a meeting on December 22, 1891, nineteen members voted to accept the Isaac C. Martindale collection of plants representing most of the locally known species. In addition to monthly meetings, the Club began to sponsor field trips to study flora in the vicinity of Philadelphia. The first of these trips was a visit to Bartram's Garden on February 14, 1892. 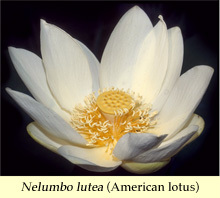 Since early in its history, the Club has had an active role in advancing knowledge of plants via botanical publications. In 1905, the club published "Handbook of the Flora of Philadelphia and Vicinity" by Ida A. Keller and Stewardson Brown. In February of 1909, the Club published the first issue of the botanical journal Bartonia. The journal was named for William P. C. Barton, Professor of Botany at the University of Pennsylvania and author of the first local flora of Philadelphia (published 1818). Since its inception, the Philadelphia Botanical Club has focused on building the collection of local plants at the herbarium of The Academy of Natural Sciences. Early club members defined 'local' as counties within 50 miles of Philadelphia. For more than 100 years, a Curator has been one of the Club's officers. Alexander MacElwee was the club's first Curator (until 1903), followed by Samuel S. Van Pelt (1904-1913), Bayard Long (1910-1969), John M. Fogg, Jr. (1969-1982), Hans Wilkens (1983-1993), Grace Tees (1983-1990), and Joseph R. Arsenault (1994-present). These botanists have contributed greatly to curation of the Academy's collection of plants from the local region and of the herbarium as a whole. In particular, under Bayard Long, the Academy's local herbarium became one of the finest such collections in the world. Today, the estimated 300,000 local collections are filed by species seamlessly as part of the general herbarium. Specimens from the local area are placed first in folders for the states of Pennsylvania, New Jersey, and Delaware, followed by collections of the same species from more distant areas of these states, North America, and the world at large. As of 2002, the entire herbarium, including the local collection, is housed in new, insect-proof steel cabinets in a mobile shelving system paid for by a grant from the National Science Foundation, with matching funds from the Academy's Hattersley Family Fund for Collections Care and Up-Grade. The Academy's holdings are rich in historically valuable collections including those of important early 19th century botanists W. P. C. Barton, Solomon W. Conrad, and Thomas Nuttall. Important late 19th century and 20th century acquisitions were the collections/herbaria of Stewardson Brown, Joel J. Carter, Albert Commons, John M. Fogg, Jr., Ida K. Keller, Bayard Long, Alexander MacElwee, Francis W. Pennell, Thomas C. Porter, Harold W. Pretz, Ann F. Rhoads, Alfred E. Schuyler, Charles E. Smith, Witmer Stone, Edgar T. Wherry, Hans Wilkens, and William Wynne Wister. Many of these botanists collected in the local area and added to knowledge of the local flora; most also collected in other parts of the world and have together made the Academy's herbarium worldwide in scope. The Club is building an endowment to fund "The Schuyler Internship" at the herbarium of Academy of Natural Sciences. Established in honor of long-time club activist and curator at the Academy, Dr. A.E. "Ernie" Schuyler, the internship is emblematic of the continuing strong connection between the Philadelphia Botanical Club and the Department of Botany at the Academy. All persons interested in plants, whether amateurs or professionals, are invited to be part of this long tradition of enthusiasm for plants by joining the Philadelphia Botanical Club. To join, visit our membership page or write to the Club in care of the Department of Botany, The Academy of Natural Sciences, 1900 Benjamin Franklin Parkway, Philadelphia, PA 19103-1195. The club is exempt under section 501(c)(3) of the Internal Revenue Code and contributions to it are deductible to the full extent permissible by law. Updated July 23, 2009. Asclepias tuberosa image © 2002 Janet Novak.